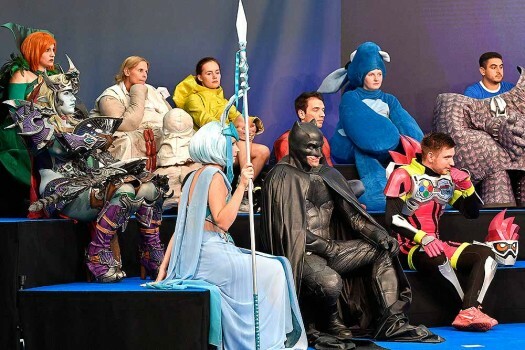 Cosplayers wait for the arrival of German chancellor Angela Merkel for a photo shooting at the Gamescom fair for computer games in Cologne, Germany. 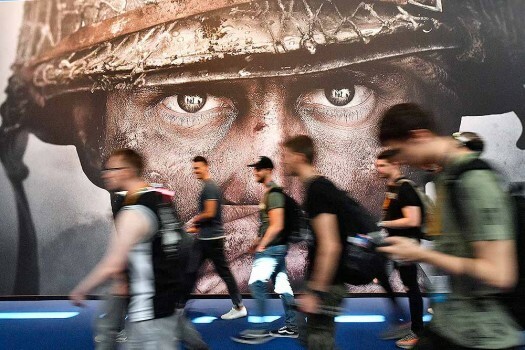 Visitors passing an advertisement for the video game 'Call of Duty' at the Gamescom fair for computer games in Cologne, Germany. 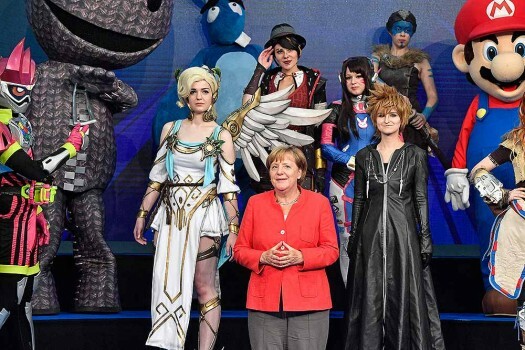 German chancellor Angela Merkel poses with cosplayers at the Gamescom fair for computer games in Cologne, Germany. 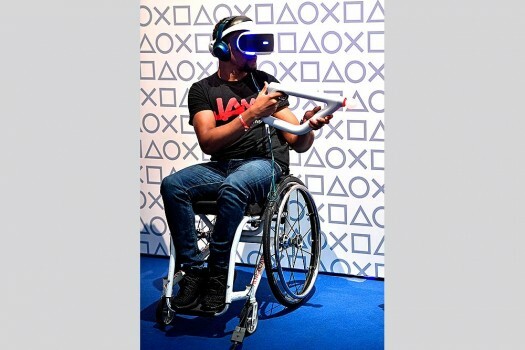 A man in a wheelchair plays a virtual reality game at the Gamescom fair for computer games in Cologne, Germany. 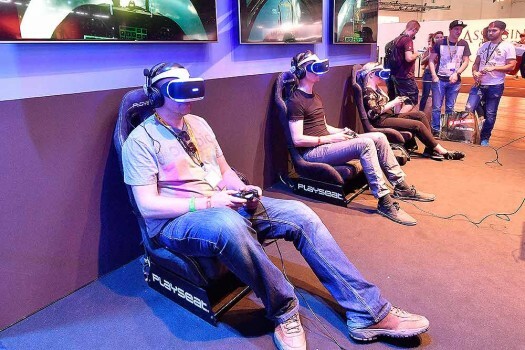 Visitors try out the latest virtual reality glasses at the Gamescom fair for computer games in Cologne. 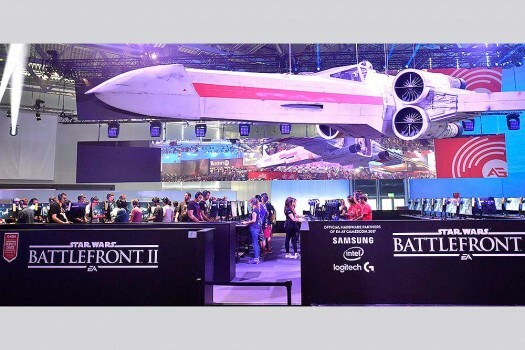 Visitors try out the latest star wars video game 'Battlefront II' at the Gamescom fair for computer games in Cologne, Germany. 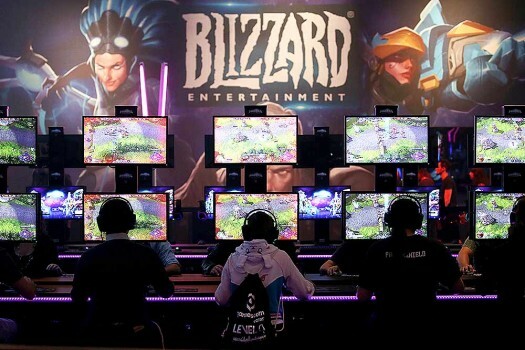 Visitors try out the latest video games at the Gamescom fair for computer games in Cologne, Germany. 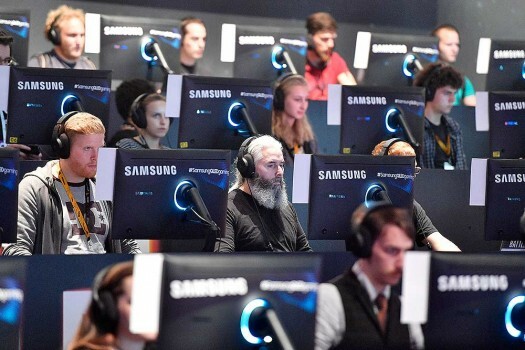 A gamer tests a computer game at the Gamescom in Cologne, Germany. 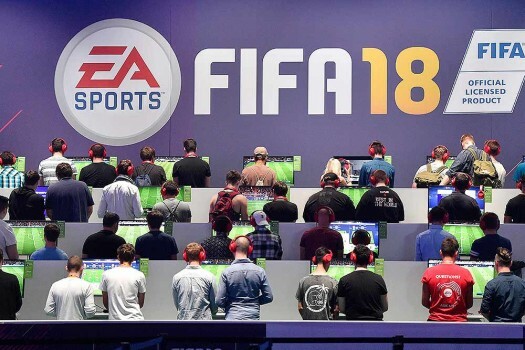 Visitors play the latest FIFA 18 soccer game from EA Sports at the Gamescom fair for computer games in Cologne, Germany. 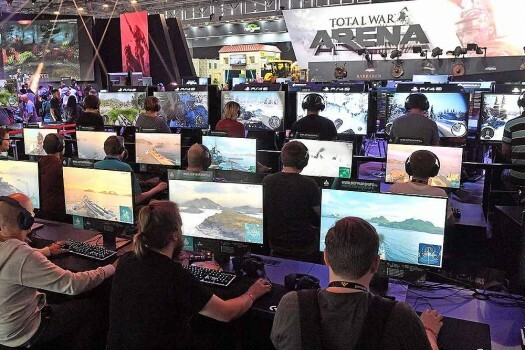 Gamers test out computer games at the Gamescom in Cologne, Germany. 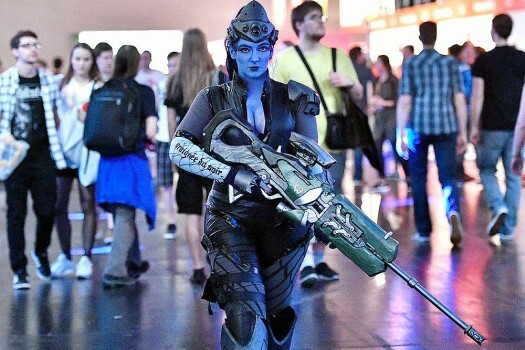 A cosplayer dressed as the fantasy figure Widowmaker from the videogame Overwatch walks with a play gun at the Gamescom fair for computer games in Cologne, Germany. 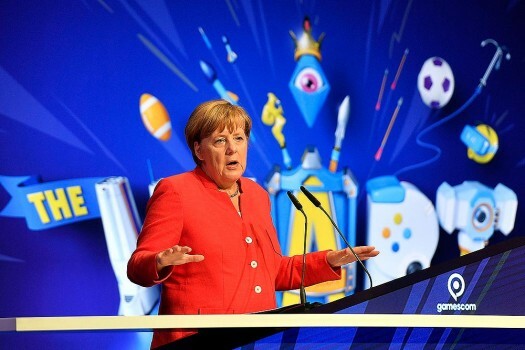 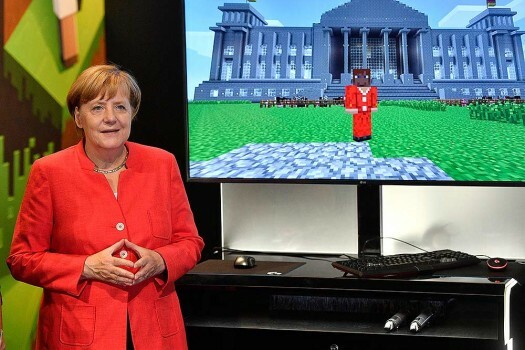 German chancellor Angela Merkel standing beside a Minecraft game, showing her in front of the German Reichstag, during the Gamescom fair for computer games in Cologne, Germany. 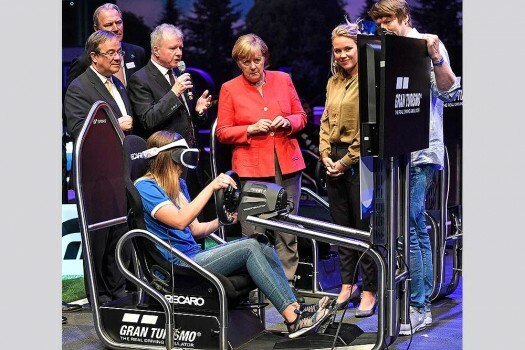 German chancellor Angela Merkel plays an agriculture simulation game during the Gamescom fair for computer games in Cologne, Germany. 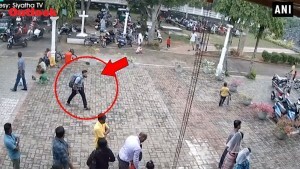 Preliminary investigations have suggested the teenager was depressed and the phrase "cut here to exit" was written with ink on her wrist, an official said. 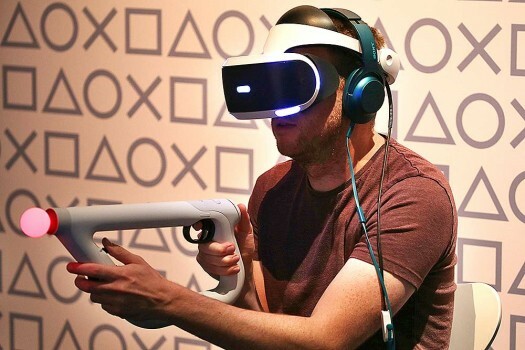 PlayerUnknown's Battlegrounds better known as PUBG which can be played on mobile devices as well as on a desktop has sidelined all other games as the trending rage among the youth.